I may be a wine educator, but I’m also a lover of good beer. I was born and raised in Wisconsin, so it’s pretty much a given that beer runs through my blood. While growing up there was always a plethora of beer flowing at most social functions to quench the thirst of me and my fellow Wisconsinites! I have some favorite craft breweries from my homeland, but there are so many great beers being brewed in all parts of the USA. 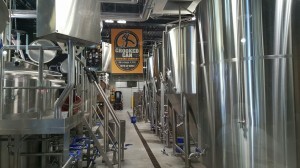 Colorado is one of the hot spots and is ranked third in the nation for number of craft breweries located there. My husband was raised in Denver, so we visit quite a bit and are always sure to try some of their fine brews while there. 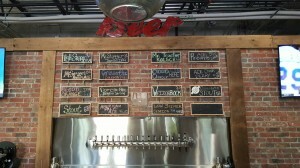 One of my favorites in Colorado (Denver, in fact) is Great Divide Brewing Company. 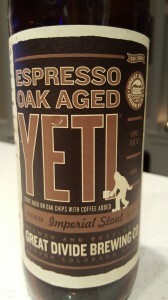 While watching NFL football today I cracked open a bottle of their Espresso Oak Aged Yeti Imperial Stout. Wow. Pouring it into the glass it looks black in color with a dark brown foamy head. On the nose is lots of strong coffee, some dark chocolate and cocoa, vanilla and roasted barley. The palate has burnt coffee, chocolate, oaky vanilla and some caramel notes. The alcohol is 9.5%, but it’s nice and smooth and I certainly couldn’t tell! 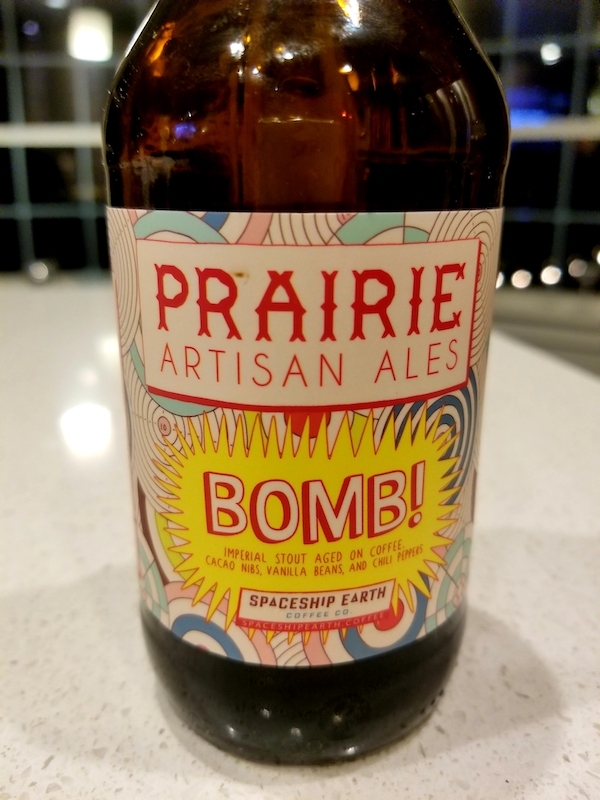 This is one darned good beer! In fact, I’d call it excellent! The brewery suggests pairing this ale with cinnamon donuts with crème anglaise. OH MY!!!!!! That sounds truly heavenly! Another pairing they suggest is Chorizo breakfast burrito! 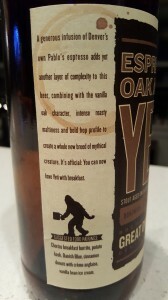 I agree with them when they say “you can now have Yeti with breakfast”! Chocolate – It’s All About The Stout! Okay, okay, I know that this is a WINE blog, but I drank a beer today that was just so darned good that I had to tell you about it. 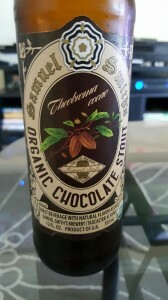 Samuel Smith’s Organic Chocolate Stout is one heck of a beer! 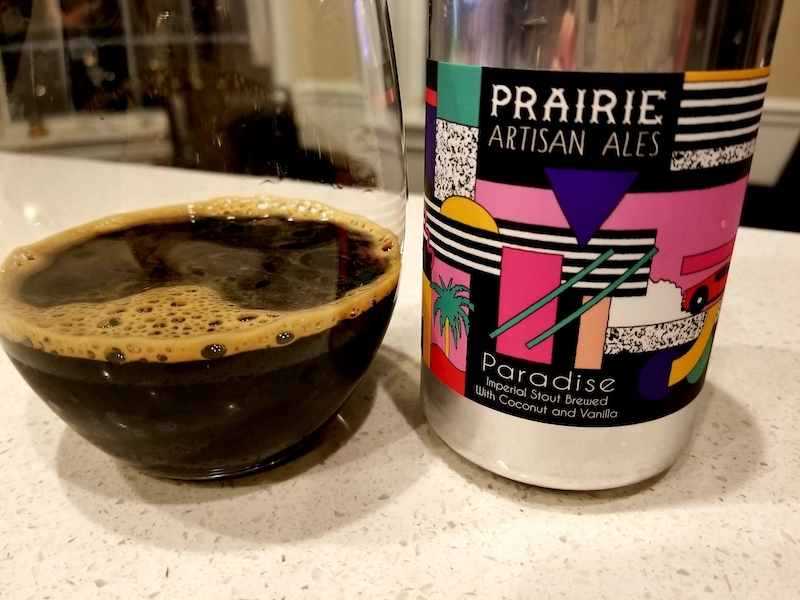 It is the most “chocolatey” stout I’ve ever had, and I mean that in a GOOD way. This beer is almost sweet, with a creamy mouthful and some vanilla and coffee flavors to add to the chocolate. It is well balanced and has a long finish. Some beer drinkers may think that it’s too much, but I really love it. This stout is brewed with well water from the brewery’s original well, which was sunk back in 1758. Samuel Smith brews in traditional coppers and uses stone Yorkshire Square vessels for fermentation. 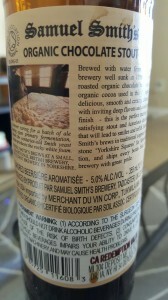 Samuel Smith Brewery is located in North Yorkshire where my ancestors are from! Now maybe that makes me a little partial, but I don’t think that is the reason I enjoy this stout so much! I think it’s because they make some delicious beer. Who knows, perhaps some of my long lost relatives even help with the brewing! 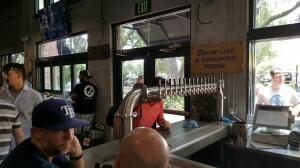 Looking for Beer in Orlando? Living in Florida makes winery visits a travel adventure. Okay, we have fruit wines here. We even have a few wineries utilizing hybrid and muscadine variety grapes, which I really do need to check out sometime. 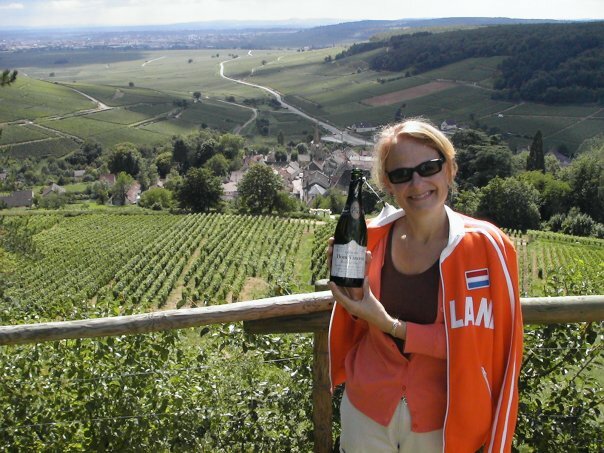 A visit to wineries using the Vitis vinifera varieties that I so love, however, requires either a plane ride or a long road trip. Brewery visits, on the other hand, can be made in abundance. Nice and close to home for me is The Crooked Can Brewery, only about a 15 minute drive from my house. And the beer? Pretty darned good! 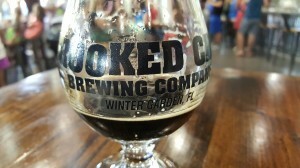 Located in Winter Garden, Florida (a suburb of Orlando), Crooked Can isn’t the only show in town. Winter Garden is turning into quite the spot for food and beverage. Plant Street Market in historical downtown Winter Garden is home to a fun array of shops, restaurants and this fun spot to drink. It reminds me a lot of a very clean, mini version of Pike Place Market in Seattle, without the fish throwing! Some of the many vendors include a bakery called Euro Bake World, a great coffee shop Axum Coffee, a pretty flower shop called E Fusion Botanical and the wonderful Market to Table Cuisine, where one can purchase fresh cooking ingredients and products to take home! I bought some truffle artichoke dip, leek & truffle premade soup, maple pecan butter, an Italian marinade and more!!!! But I digress. I’m here to talk about the beer! We started out having their Chocolate Stout. It was my favorite of the day, but actually seems more like Coffee Stout. I really like it though. It is brewed in collaboration with Axum Coffee Shop (mentioned above) by using a variety of their coffee beans. 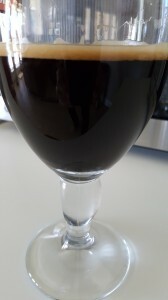 It is a deep colored stout with lots of coffee flavors and a bit of cocoa powder on the palate. With only 5.1% alcohol, I could have had another! Instead, after finishing off our glasses of Stout, we decided to order a flight. 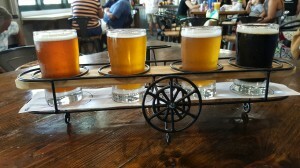 I love their flight presentation, using an “airplane” to carry the small glasses of beer. Domestic Bliss – This is a Belgian style Ale with a beautiful golden color and a wonderful rich and creamy mouth feel. There is lots of spice on the palate, especially clove! I really enjoyed this Ale. This goes down very easily, but at 9.5% alcohol, beware of how many you order if you’re driving! 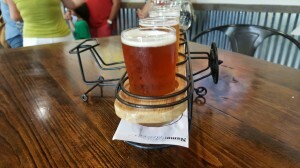 McStagger Imperial IPA – This is a Double IPA with grapefruit galore on the palate. I enjoyed it a lot, but it’s 9% alcohol, so again, drivers beware of too many!! Cloud Chaser Hefeweizen – This German style wheat beer has some fruit and spice, along with a bit of a medicinal Band-Aid essence on the palate. My husband liked this one a lot, and at only 5.3% alcohol, drink away!!!! 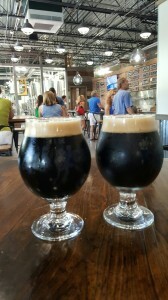 Stout – This is another deep colored Stout with lots of coffee on the nose and palate. I really liked this beer, but still preferred the Chocolate Stout. This has 6.7% alcohol. Crooked Can Brewery is a really fun place. We’ve been here a few times now. We often sit outside on their huge patio listening to live music while hanging with friends. They also have a service window from the outside, which makes it very convenient and easy to grab another brew. Oh, and if you prefer cider, they have that too!!! !